One of the things I love doing is going through BlackBerry App World and the forums week after week to find you guys the latest and greatest themes by all the wonderful and imaginative developers out there. One such discovery is by popular developer HedoneDesign, who is just one of many who've been able to provide all of us theme lovers with OS7 devices our daily fix. B7i is their brand new iPhone style theme so be sure to click on the break for more details. While some of the naysayers out there may not prefer ones that replicate other OS's, they may change their mind when they see what an amazing job the team has done with B7i. 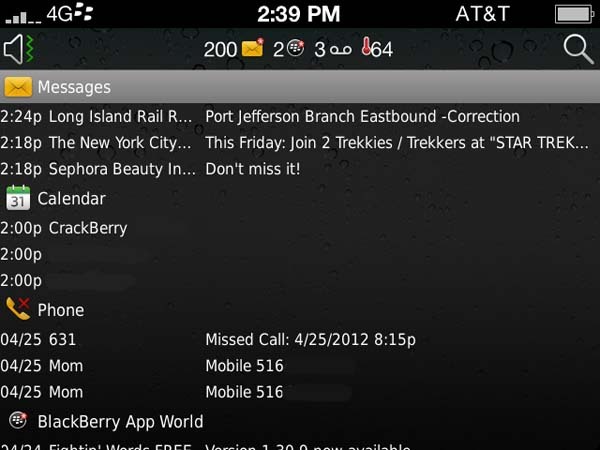 The interface and look of B7i is based upon the BlackBerry 7 basic theme. Therefore, while the graphical parts have been customized (i.e. 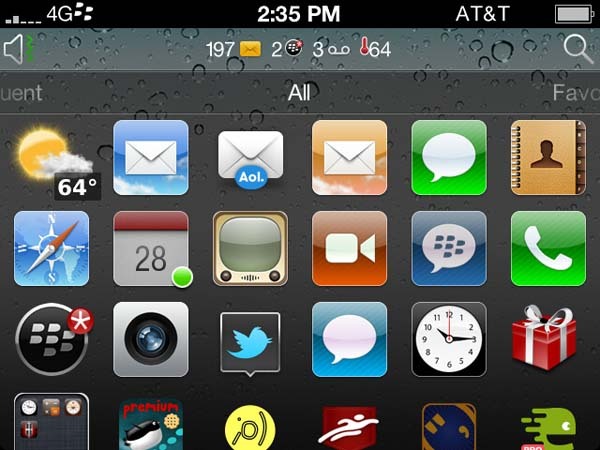 icons and backgrounds) to match all of the iPhone elements, all of the great features of BlackBerry 7 remain untouched (i.e. menus, dialog boxes, fonts and more are all taken from the stock theme) to give you the perfect balance of both worlds. It's the intricate details and the precision in which they're executed that really have me sold. From the green dot when hovering over an icon and the small top banner that allows more icons to be shown in the panel, to how the battery and signal meters are in different positions and how the fonts do not cut off. This truly brings the look and feel of iOS to your device without sacrificing the functionality and what you love about BlackBerry. As a theme addict I would highly recommend adding this to your collection. 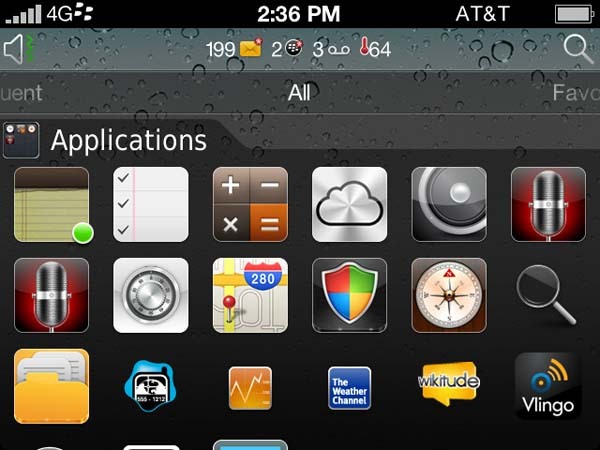 Regardless of how you feel about replica themes you have to admit they did an excellent job of reworking all the aspects of the basic BlackBerry 7 theme with nothing but the workaround. 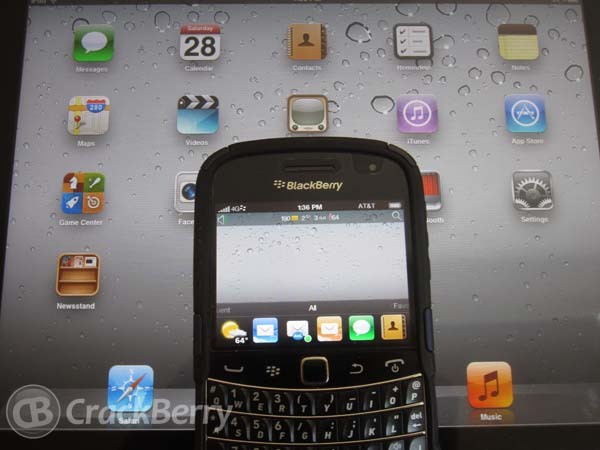 I've never seen such a sharp and clear display on my BlackBerry Bold 9900 or the graphics so crisp and clear. After showing it to an iPhone user friend of mine even she was amazed by how similar it looked to her device. The only minor issue some may have is that the font when you click on the notifications bar is a little small. For me it's not a problem though and other than that there are no other noticeable glitches or issues that I've experienced. Some may balk at the $6.99 price tag but HedoneDesign has always provided quality themes over the years and this one is no exception. B7i is compatible with the BlackBerry Bold 9650, 9700/80/88/90, 9900/30/81, and Curve 9350/60/70 with more OS6 and OS7 devices to come. They've optimized the graphics for OS7 and there's a noticeable uptick in speed and battery life. Instead of the same old boring stock theme why not give this a try?